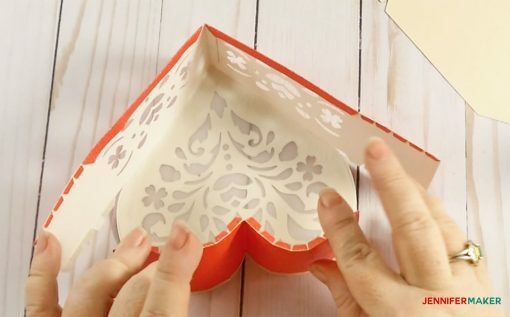 Learn how to make a beautiful 3D paper heart box for that special gift or just to show someone just how much you love them! One of the things I love about hearts is how versatile they are. Sure, they’re popular at Valentine’s Day, but I love to use and see them year-round. And hearts are always a great way to show someone that you love them. I have many heart-shaped projects on my blog, including my heart-shaped handwarmers, map pillow, and origami winged heart. 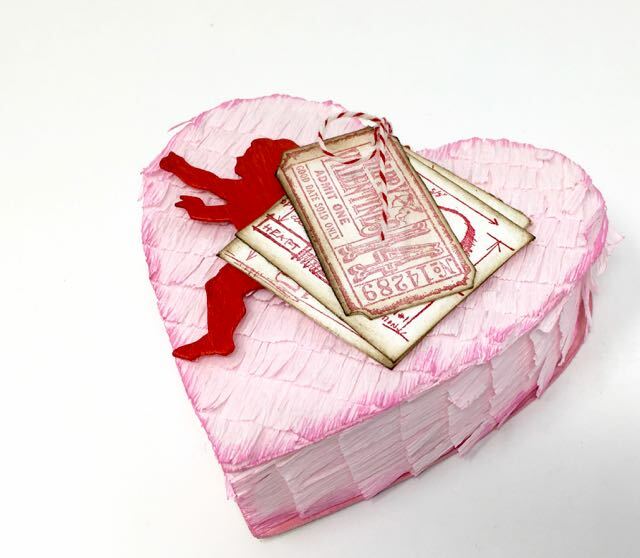 So I created a special 3D paper heart box. 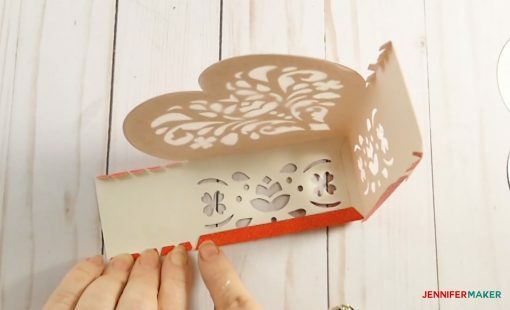 This paper heart box uses the same cutwork heart seen on my DIY leather planner because I just loved that design. I added some complimentary cutwork to either side of the box, too. I designed the cut-outs on the box so that you’d see the vellum on the top and the bottom box on the sides. If you don’t want to use vellum on top, you could just use the same color of cardstock that you use for the box bottom. Getting the curves just right at the top of the heart box is a little tricky, but I’ve made it easier by providing an extra curved guide piece that you can use to train the sides into the curves. I like this technique and I think it makes for a better finished project. 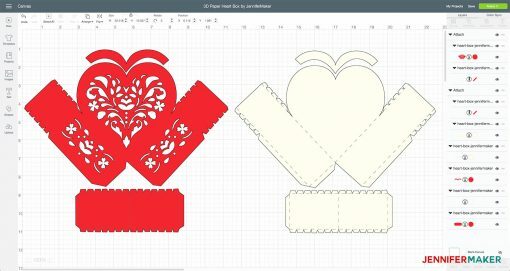 First, download the patterns for my 3d heart box from my free resource library. If you’re going to cut them out on your cutting machine, upload the file to your design software. If you’re not sure how to upload an SVG cut file to Cricut Design Space, watch this helpful video training series I made. 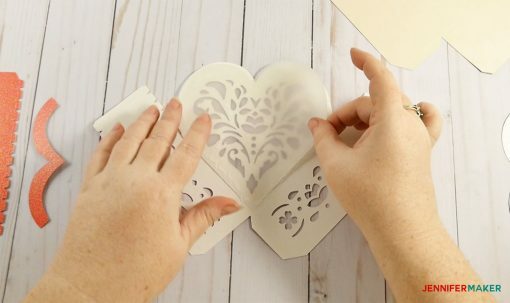 Note: If you make this in Cricut Design Space, you must ungroup ALL layers, change the layers with the lines from Cut to Score, and then attach those layers to their respective cut layers BEFORE you cut out this design. If you’re not sure how to set score lines, check out my scoring tutorial. If you do not have a scoring stylus, simply delete the layers with score lines before cutting. Cut out your box pieces. While glitter and metallic cardstock look great, they are really hard to glue and you will likely regret it. Instead, I recommend a solid foil cardstock if you have it. 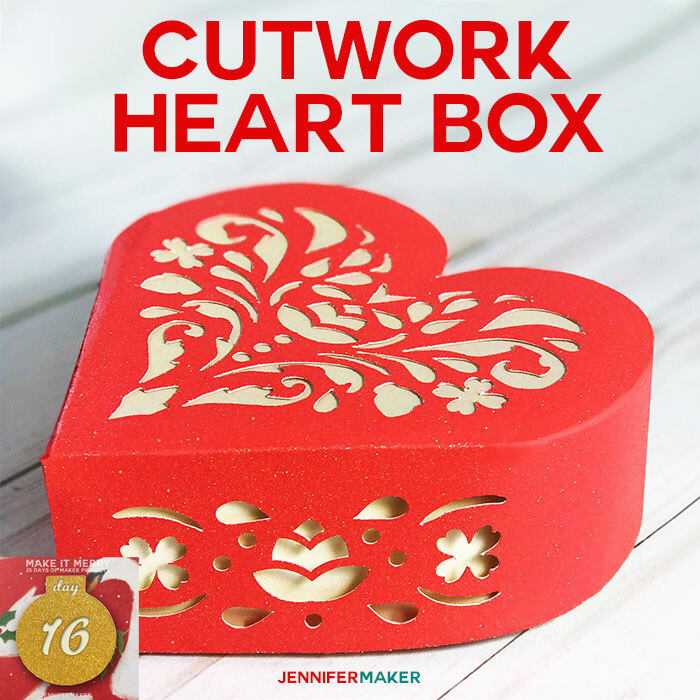 Glue the heart to the inside (wrong side) of the cutwork heart on the box top. Fold up the sides of the box lid (red) and fold and glue down all the tabs on the sides. These tabs serve as reinforcements to strengthen the edges of your box. 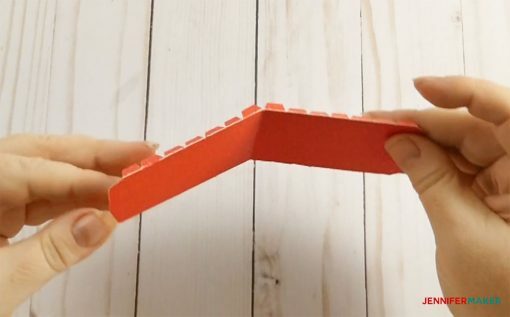 Now fold the red rectangle in half and fold up all of its tabs. Do not glue down all the tabs as you did in the previous step, however—one side can be glued, but the other side should not be. Glue the rectangle to the red curved piece, making sure the rectangle’s fold is pushed into the corner between the two curves. 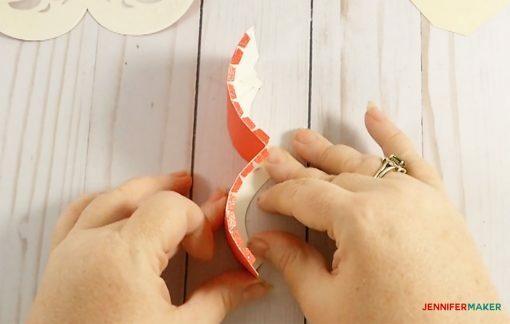 This piece allows you to shape your cardstock into the proper curve shape before attach it to the box lid. Now glue your curved rectangle piece onto the box lid. It attaches with the unglued tabs on both the bottom and the side. Pay attention that your rectangle’s curves are positioned properly on the curves of the box lid. At this point, you should have a finished box lid! 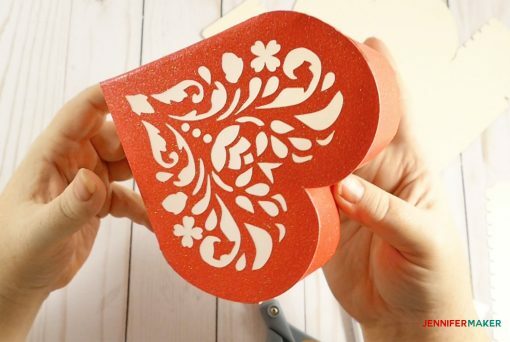 Repeat the folding and gluing process for the bottom of the box, which is identical to the top except for the extra heart piece. Put your box lid on your box and enjoy! 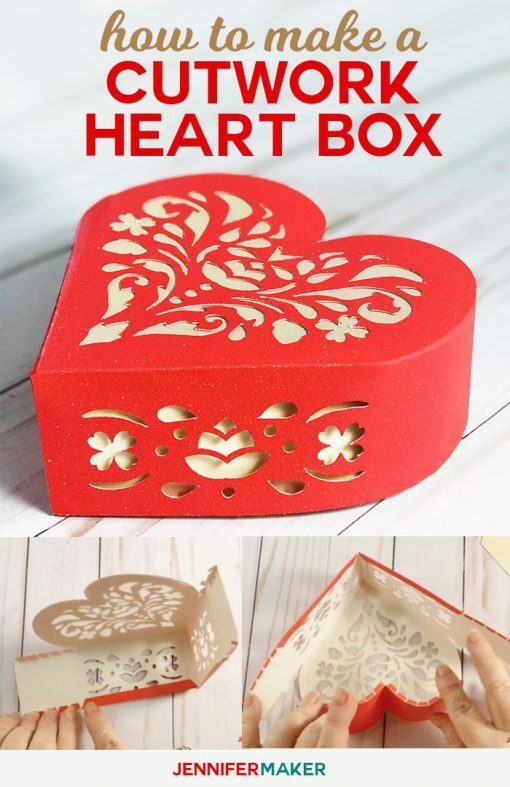 I have three more heart box ideas for you! My friends Tracy, Lucy, and Jennifer designed and shared their own heart boxes on their blogs. 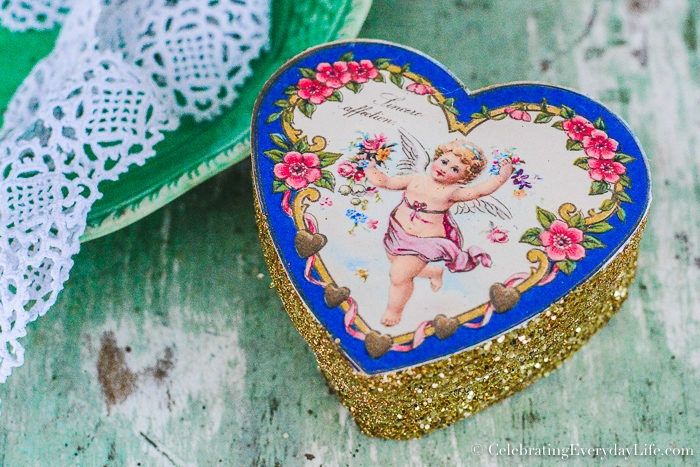 And Jennifer made this sparkly vintage heart box using the Print Then Cut feature. 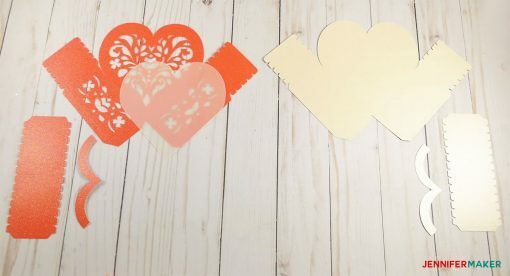 Get her free files at this link: Easy Heart Box. You can get the free patterns for all of these adorable heart boxes on their blogs at the links above. 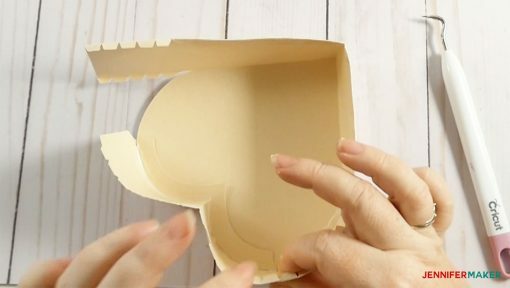 If you make a paper heart box, I’d love to see it. Feel free to send a photo to me at [email protected] or tag me on social media with #jennifermaker. Want to remember this? 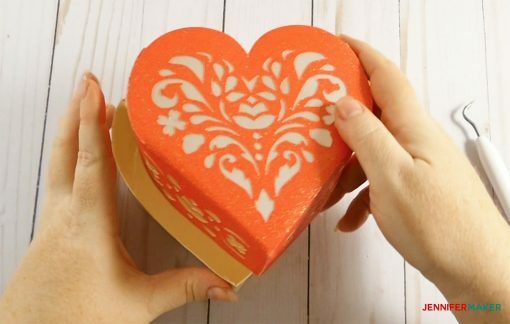 Save the 3D Paper Heart Box to your favorite Pinterest board! Oh wow, Jennifer. I love how many options there are when making this heart box. And the fact it’s out of something most of us have around the house- cardstock- makes it a super convenient craft. No need to run to the store when you already have cardstock on hand. Love that you did a video for this craft, plus the step by step visual with the photos. Thanks for the post!